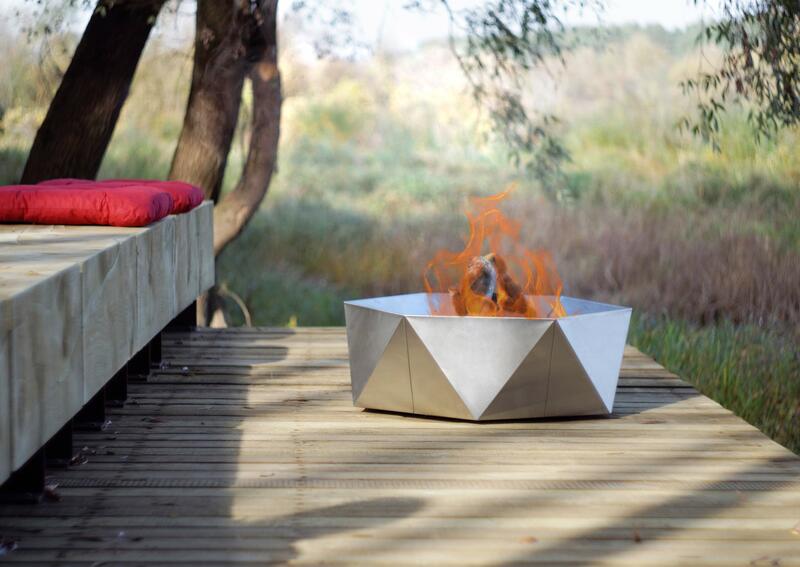 Large size (76 cm diameter) contemporary design high quality stainless steel fire pit. Arpe Studio UK Limited © 2019. All Rights Reserved.